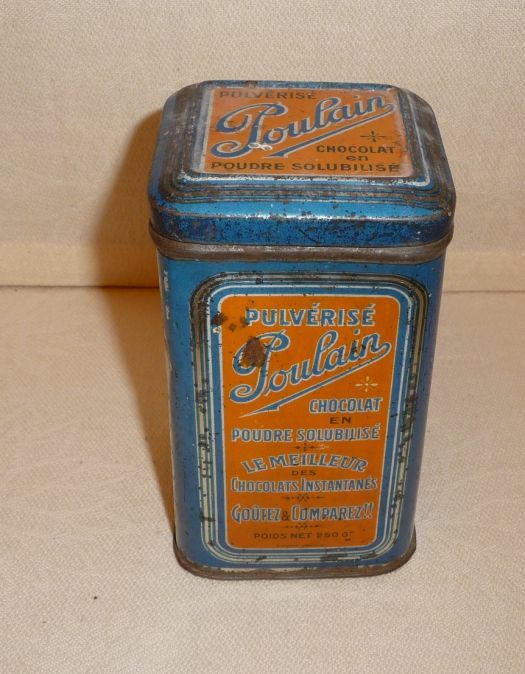 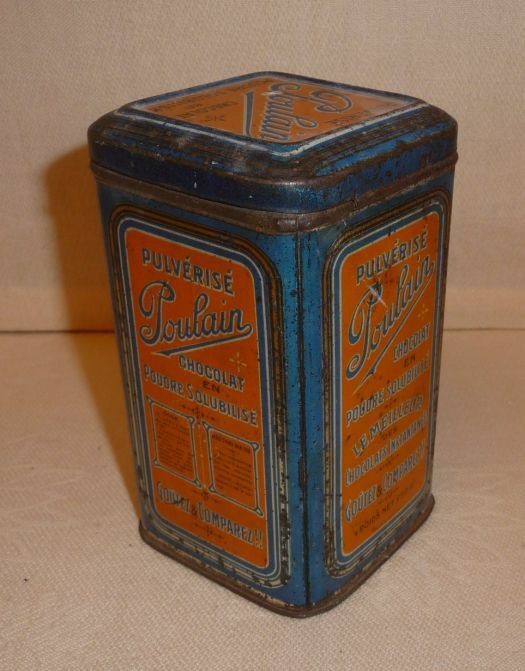 Tin box for Poulain's chocolate. 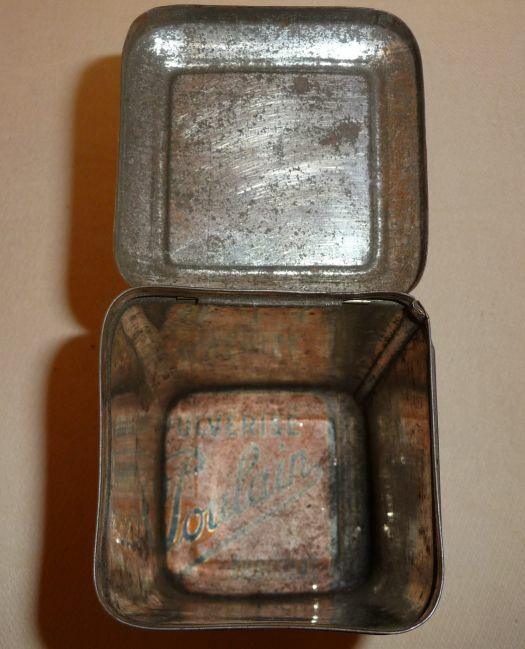 Condition is not very good, there are many points of rust. 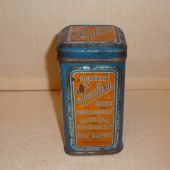 For collection or decoration in an old style kitchen. 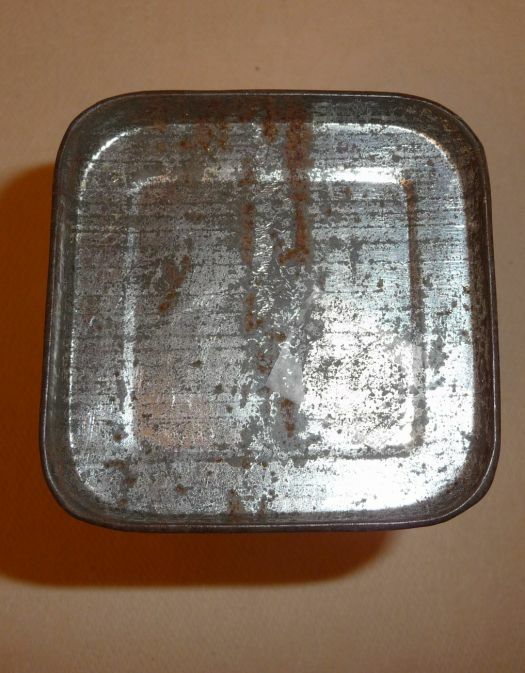 Side = 7 cm ; height = 12,2 cm.